Pepper Basham takes the reader on an eye-opening cultural trip to the backwoods of Appalachia in 1918 in her novel My Heart Belongs in the Blue Ridge: Laurel’s Dream. Capturing the speech of the locals and the adventures awaiting the outsiders who dare to venture there, the author painted such a vivid picture that I was transported and felt like I was plopped right down with Teacher into the setting. The colorful characters came alive on the page and traipsed right into my heart. 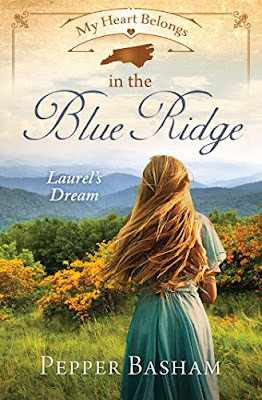 Laurel McAdams, who wants to become a teacher, and Jonathan Taylor, who has taken a teaching job in the Blue Ridge Mountains but wants to become a doctor, are the main characters in this captivating tale. Jonathan has no idea about the adventures that are awaiting him—mountain lions, polecats, and wary parents, along with a beautiful, courageous heroine. Brimming with wit and charm and full of Basham’s sense of humor and beautiful prose, this book is one for the keeper shelf. Themes of trust, faith, the importance of family, and the power of love are woven seamlessly throughout the book and add to the journey into this intriguing world. I’m hoping there will be additional stories about some of the other characters in the future. 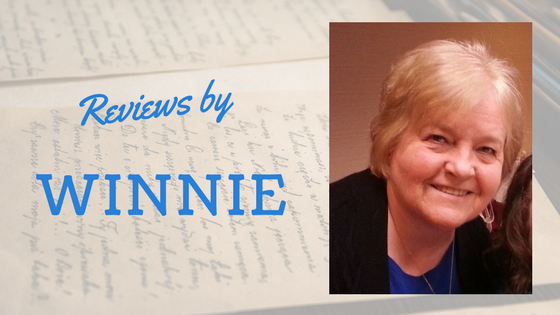 *I voluntarily reviewed a complimentary copy from Barbour Publishing/NetGalley. All opinions are my own. SEE WHAT KIM AND SUSAN HAD TO SAY ABOUT THIS NOVEL!